Riviera Beverages is a supplier to ASI, PPAI, SAGE Promotional Distributors. As you know, Custom Label Promotional Bottled Water, with a special message or corporate identity, is a special & unique giveaway. Not only is ‘the brand’ carried around (free advertising) but the bottle is frequently refilled and reused multiple times – especially if the label has a ‘cool factor’. What is the production/shipping time? Bottled water orders are shipped in 24/case lots. Allow 2-3 weeks production time upon label art approval. Rush orders are an option but will be subject to an additional charge. 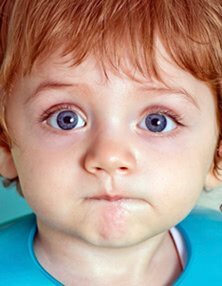 What is my distributor pricing? 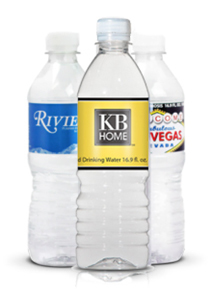 Custom label bottled water generally costs less than other types of advertising giveaways. We will provide you with a quote detailing all costs including freight. We provide competitive pricing and service throughout North America. Our freight rates for pallet orders are unmatched! You will need to contact us for your distributor pricing. Submit contact info below or call us at (714) 895-5169. BottledEvents.com handles all of Riviera Beverages' one-time custom label orders for every occasion. "When You Succeed – We Succeed." Private Label, Co-Packing, and ASI Promotional clients need personalized service. Contact us directly via email at sales@rivierabeverages.com, submit the info form below, or call us at (714) 895-5169.